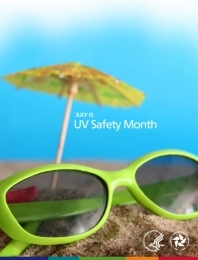 The Dermatology Nurses’ Association would like to make sure you are SunAWARE. Learn the acronym that can help you be safe in the sun. Remember, anyone can develop skin cancer anywhere on their body. Report new or changing skin growths or spots to your health care or dermatology provider. The Surgeon Gene ral’s Call to Action to Prevent Skin Cancer calls on partners in prevention from various sectors across the nation to address skin cancer as a major public health problem. Federal, state, tribal, local, and territorial governments; members of the business, health care, and education sectors; community, nonprofit, and faith-based organizations; and individuals and families are all essential partners in this effort. Skin Advocate iPhone App - Get your copy of Skin Advocate for free in the App Store. Helpful tips for keeping your skin in tip top condition. The skin is the body's largest organ. It protects against heat, sunlight, injury, and infection. Yet, some of us don't consider the necessity of protecting our skin. So the US Department of Health and Human Services has put together some Sun Safety Resources and a Sun Safety Quiz to test your UV IQ. Click here to see them and take the quiz. The Dermatology Nurses’ Association makes no recommendation or endorsement of the organizations or resources listed. They are provided solely as a public service. Individuals must determine for themselves how to use the information provided. When making medical decisions, a physician should be consulted. Addresses and telephone numbers may have changed since this list was first posted.